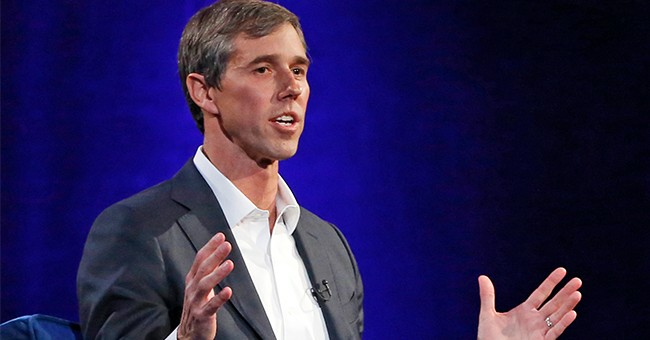 Former Rep. Robert "Beto" O'Rourke raised more than $6 million in the first 24 hours of his campaign, more than any of his Democratic rivals who had disclosed their fundraising totals for the first day of their campaigns. "In just 24 hours, Americans across this country came together to prove that it is possible to run a true grassroots campaign for president — a campaign by all of us, for all of us, that answers not to the PACs, corporations, and special interests but to the people," O’Rourke said in a statement, according to NBC News. That's a strong showing for the former Texas congressman who lost a Senate race last year to Republican Sen. Ted Cruz, while setting a new fundraising record. Sanders beat expectations and stunned observers by raising a then-record-setting $5.9 million in his first 24 hours as a candidate last month. Meanwhile, Sen. Kamala Harris collected $1.5 million, which was seen as impressive haul for the California Democratic lawmaker. Sen. Amy Klobuchar, D-Minn., raised $1 million in 48 hours, as did former Colorado Gov. John Hickenlooper. It took Jay Inslee 72 hours to raise more than $1 million, but that still surpassed expectations for the Washington governor. Sen. Elizabeth Warren, D-Mass., raised at least $300,000 on New Year's Eve, her first partial day in the race, according to filings from the online donation clearinghouse ActBlue. But her campaign declined to disclose their complete one-day fundraising picture. On Monday, O'Rourke emphasized his campaign's grassroots nature. "This is a campaign of people. All people, no PACs. All people, no special interests. All people, no corporations. Very grateful to be running this race with you," he tweeted.